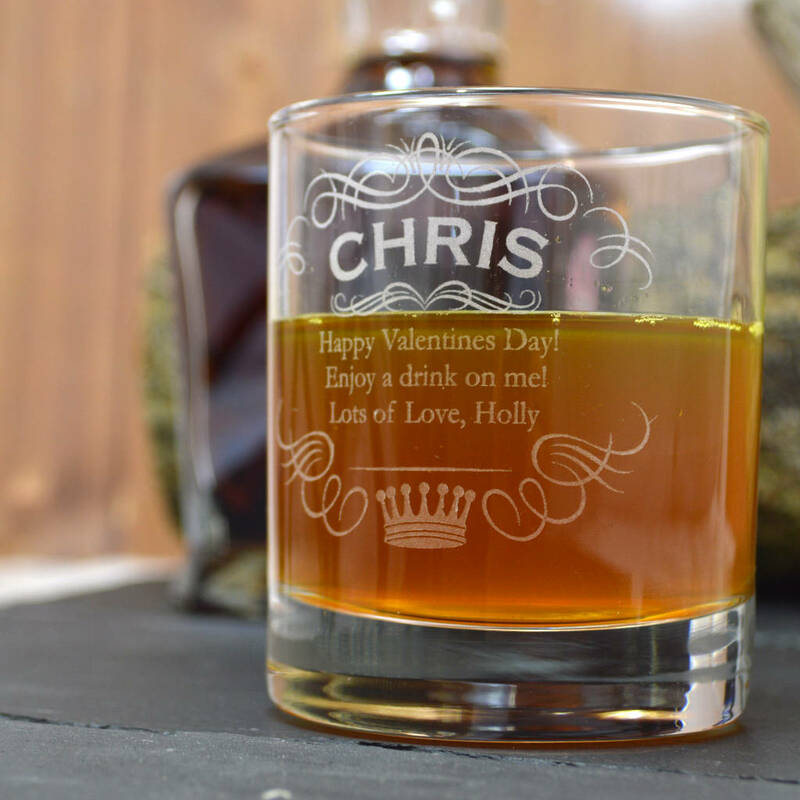 A fantastic personalised whisky tumbler with Name and Crown design and your special engraved message. An excellent gift for spirit lovers. 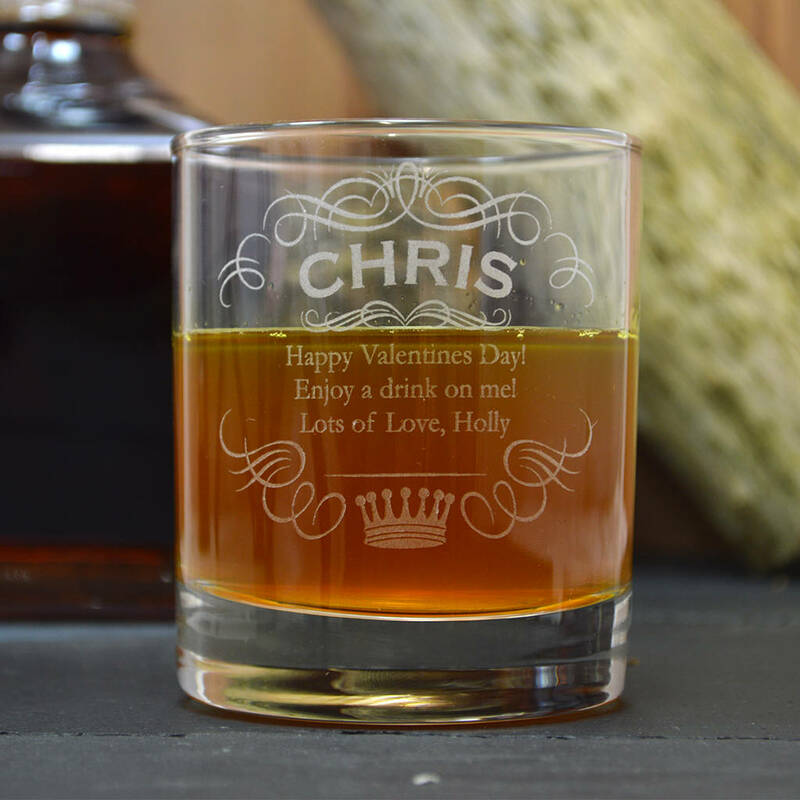 This marvellous personalised whisky glass gift comes with our exclusive name and crown design and your own special engraved message. 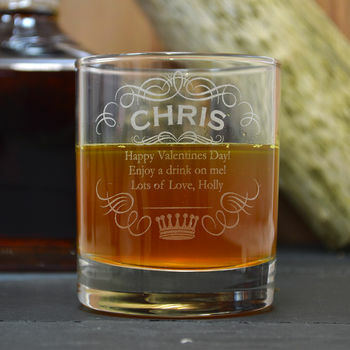 A lovely gift for birthdays, valentine’s day, Christmas or any other occasion. Why not purchase also a greetings card for a little extra in the personalisation fields? We will send a bespoke A5 sized card, folded in half and printed with your message on one of the inner sides. A white envelope will also be sent. Glass size 9.5cm x 8cm. This product is dispatched to you by GiftsOnline4U.